In addition to parlour boards and other essential dairy equipment, we stock a range of dairy chemicals from circulation cleaners, bulk tank cleaners and udder hygiene products. 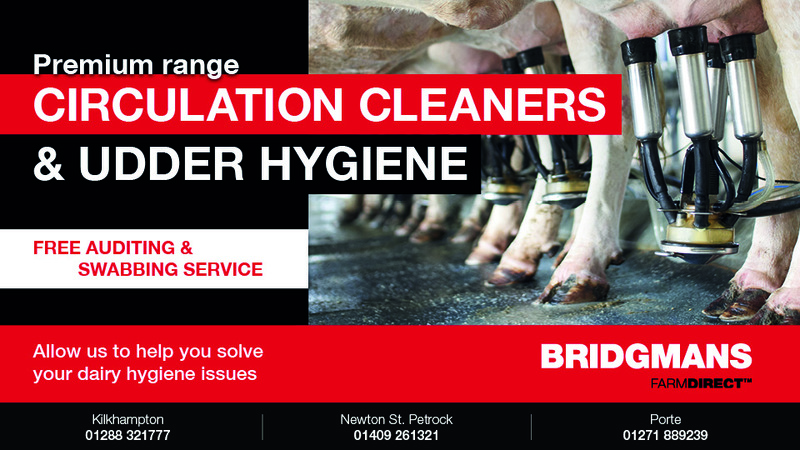 The Bridgmans field sales team are on standby to offer a bacteria testing service. Give them a call on 01409 261321 and we will do our very best to help.